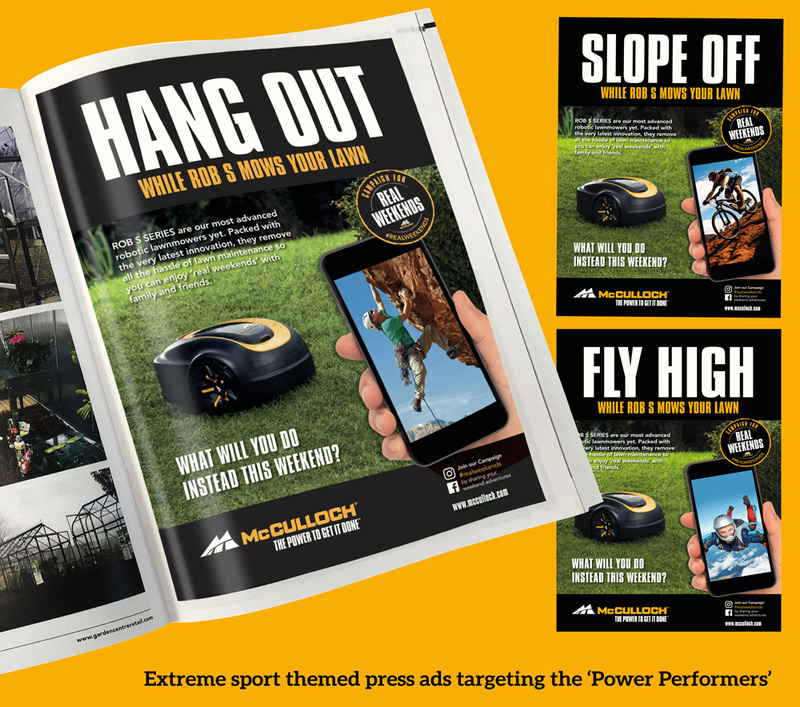 McCulloch wanted a European communication campaign for their new ROB S robotic mower that targets their key customer group – male ‘Power Performers’. 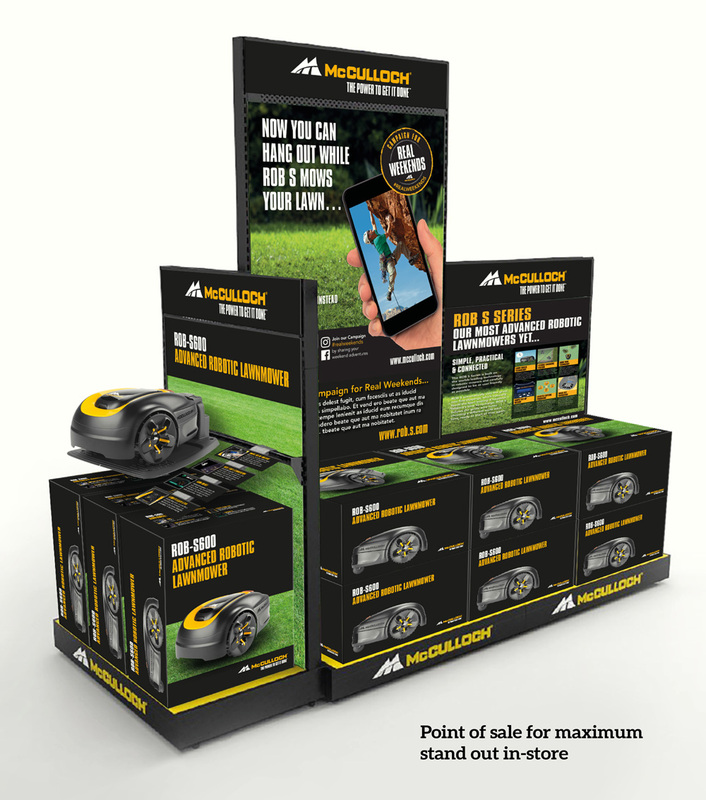 The category norm is to communicate the product’s functional benefits but we wanted to create an emotive campaign that taps into the feelings associated with owning a Robotic mower. The campaign will be rolled out across the key European markets to support the Spring 2019 launch. We identified 4 key emotional benefits of the ROB S – Freedom, Relief (from the regular chore), Pride & Satisfaction. 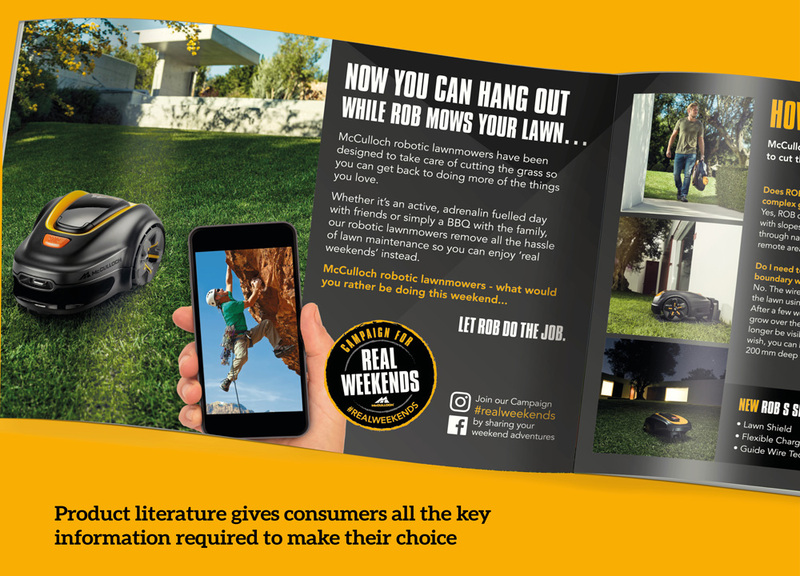 Freedom was selected as the most appealing benefit so we developed our ‘Campaign for Real Weekends’ with the key message being that there are far more exciting things to do at the weekend than cutting the grass! 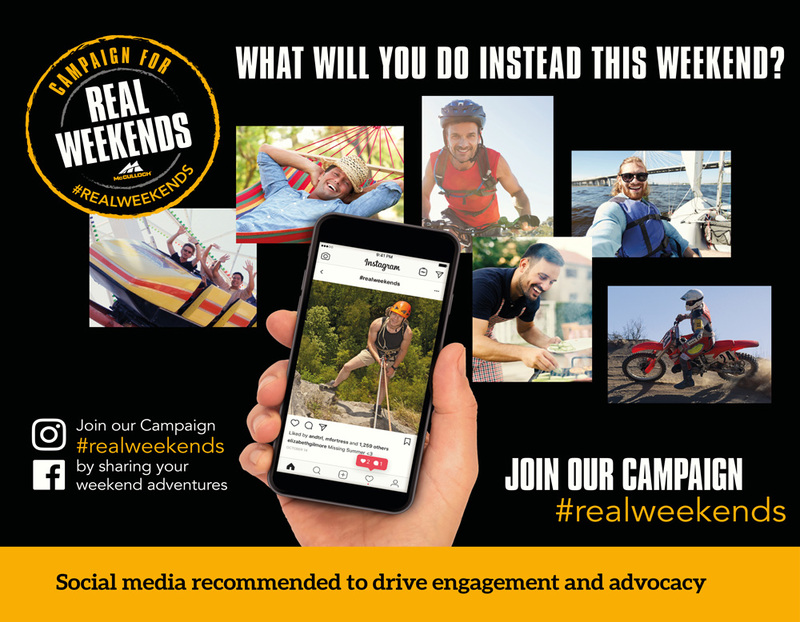 Core to the campaign was a series of motivating extreme sport ads (print & digital) which were supported with consumer literature, point of sale & social media.